Adventurer’s Singapore has been present in the Events Industry for the past 30 years, specializing in corporate functions, entertainment shows to special events at an international scale. Adventurer’s Singapore comprises of highly motivated and professional individuals. In addition to its ardent team of sales and marketing personnel, the company is supported by in-house creative as well as production teams. 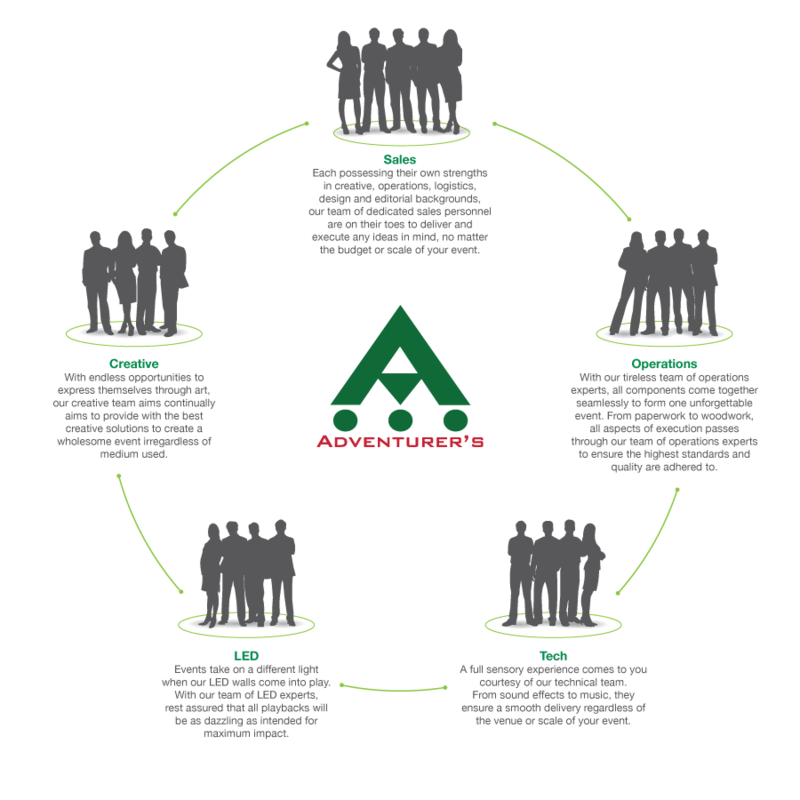 Adventurer’s innovative team provides clients with an ease of mind during events from conceptualization to execution through its shared experiences in the events, creative, production, marketing and PR fields.